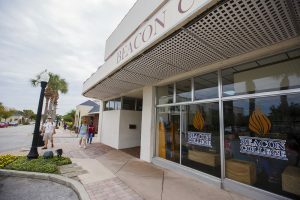 The Beacon College campus is located in historic downtown Leesburg. Main Street is lined with classic historical buildings, a new public library, quaint restaurants, gift shops, antique stores, and a variety of local businesses. 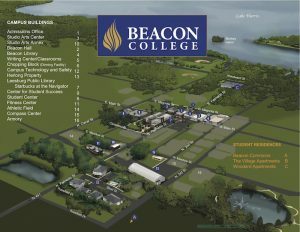 View or download our campus map. Leesburg is approximately 50 miles northwest of Orlando in Central Florida.  The Orlando International Airport is about an hour drive from campus. In 2007, the population of Central Florida was estimated at just over 3.8 million people. Central Florida is one of the most beautiful, versatile, and popular vacation destinations in the state. It is an area of unmatched natural beauty and old Florida charm, all within minutes of the theme park thrills of nearby Orlando and Tampa, and the glorious sands of both coasts. The climate averages an annual temperature of 72 degrees with ever-present sunny skies. The area’s biggest attractions include Walt Disney World (44 miles), Sea World (42 miles), Universal Studios (44 miles), Kennedy Space Center (60 miles), Cypress Gardens (90 miles), and Daytona Beach (69 miles). Visitors enjoy quaint downtown streets sprinkled with period architecture, recreational retreats, and shopping delights. The area is also home to numerous discount and factory outlets as well as several upscale shopping malls. The largest cities in Central Florida are: Orlando, Melbourne, Daytona Beach, Kissimmee, Altamonte Springs, Deltona, and Sanford. Central Florida is known for its outdoor activities and wildlife. Rich in natural beauty, the area has more than 550 freshwater lakes, making it an ideal spot for fishermen, boaters, water-skiers, bicyclists, hikers, bird watchers, and nature enthusiasts. Leesburg has devoted 15% of its land area to parks and recreational activities. Nearby, there are tennis and racquetball courts, biking paths, ball fields, picnic areas with pavilions, and jogging trails. Cultural enrichment can be found throughout Central Florida and Lake County. There is a strong appreciation for the local arts, which can be enjoyed in the larger nearby cities as well as community events in Mount Dora, Eustis, and Leesburg, which sponsor outstanding art and theatre productions. Additional local activities in the area include: movie theaters, fitness clubs, restaurants, art galleries, and museums.